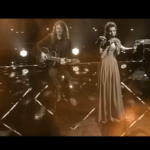 Latvia’s national selection, Supernova, is moving forward as the 16 candidate songs that will compete in the semi finals went pubic by the national broadcaster. 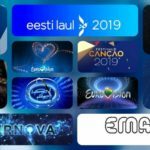 Latvia has opted for another year to stick with the Supernova national selection format in order to determine its next Eurovision repressentative. After evaluating the 83 songs submitted to LTV, the broadcaster initially shortlisted the number to 33 entries. Today the national broadcaster revealed the 16 entries that will be competing in the semi finals of Supernova 2019. This 16 acts will split up in two semi finals of 8 competing acts. From each semi final 3 acts will qualify to the grand final , through a combination of public and jury voting. This year’s national selection has several popular acts make a comeback to Supernova’s stage. One of those notable acts is certainly, Markus Rivas and his entry You Make Me So Crazy. What do you think of the 16 semi final competing entries? Are there any songs you think outstand from the rest? « France: Eurovision Destination 2019 expert panel members revealed.